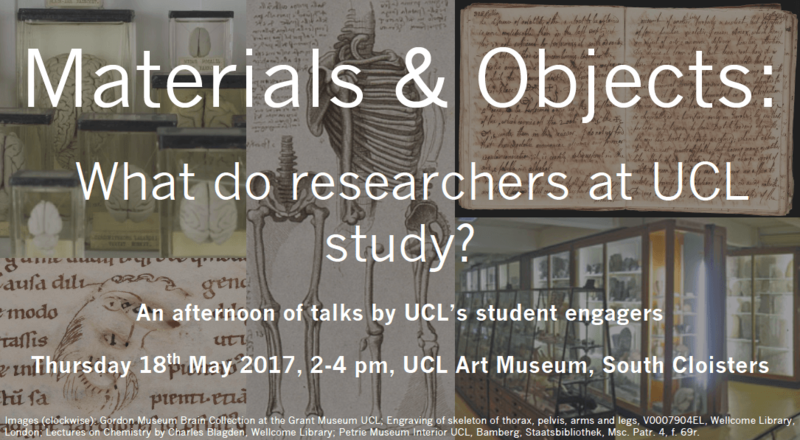 From Neanderthals to studying illegal objects and from building brains to medieval manuscripts come along and learn about exciting research happening across UCL. 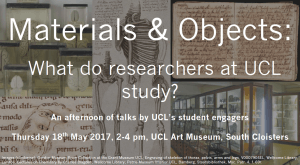 Join our enthusiastic PhD students for a series of short talks centred on the materials and objects behind their interdisciplinary research. The event will conclude with tea and refreshments where attendees will be given an opportunity to meet the researchers and discuss their work. Check out our poster for the event! 15:20 Shopping Around in the Ice Age: Where did Neanderthals get their stuff! ?